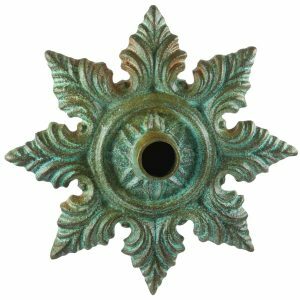 Inspired by European plaza fountains, the Normandy Spout features a small downturned spout mounted on a backplate decorated with a star motif. Although mimicking the appearance of time-worn cast iron, the Normandy is crafted from non-rusting copper. 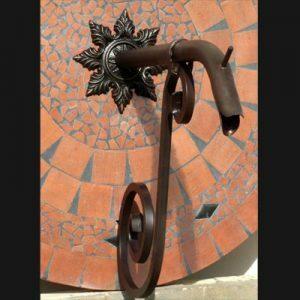 Unlike a spout made of iron which leaches rust and stains porous surfaces, the Normandy can be safely used in a pool or fountain. 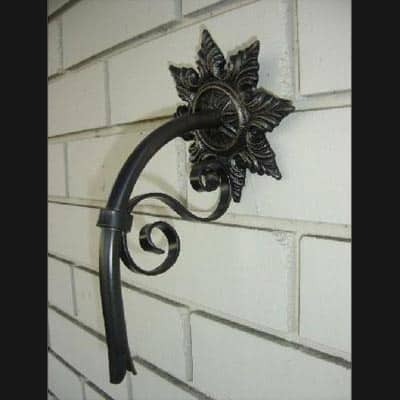 It is perfectly sized for smaller fountains, spas or for use with a wall bowl fountain or basin that needs minimal forward projection. The price includes Dura coating.